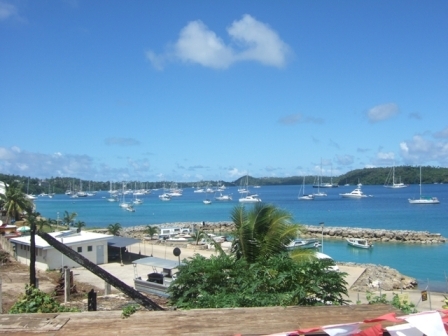 Neiafu is the only town the Vava'u group of islands. It is well hidden from the sea and finding our way in was like being in a maze! Aurora B centre picture, on our way in to Neiafu, top right. The waterfront, with the church on the hill behind. 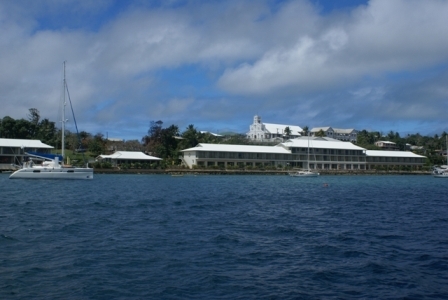 The moorings in the fjord at Neiafu. You can anchor, but it's very deep. 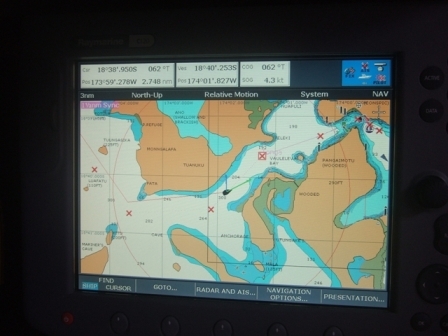 We were on a buoy in the middle of boats to the left and it was just over 100ft deep. We rented the buoy from a dive shop, so we hoped they had gone down regularly to check the lines were well attached to the bottom. We never had a problem and never heard of anyone else having problems. If it was the Caribbean you would never trust them. Another view across the fjord with the small boat harbour in the foreground. 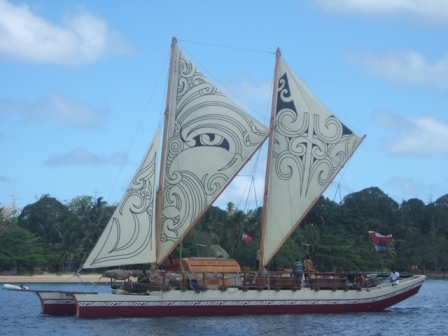 Vava'u group. 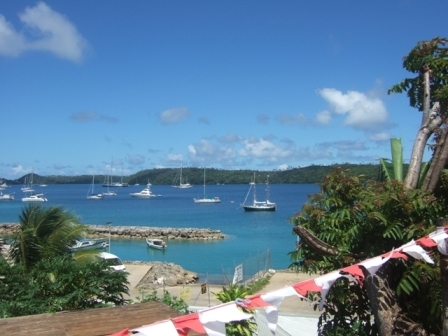 It also took part in some the yacht races in the Vava'u regatta week. 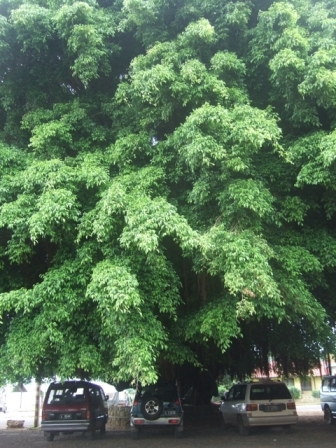 and a shady place to park cars. The cars in Tonga were probably the worst cars we have seen anywhere. It is a poor society and provided the engine runs and the wheels go round they keep them going regardless of the state of the body or interior. 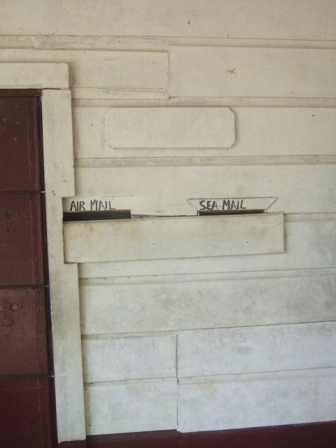 The postbox at the main Post Office.